I think I was 12 or so when The Little Mermaid was out in theaters. I didn't see it but my mother got it on VHS when it came out and I remember watching it with my sister and I actually liked this movie. Anyways I watched THE LITTLE MERMAID: DIAMOND EDITION on Blu-ray Combo Pack and I was surprised how great the quality of the movie is on this Blu-ray and DVD. This is one to keep in my Disney collection. If you loved The Little Mermaid as a child or you have who love this movie I highly recommend this. 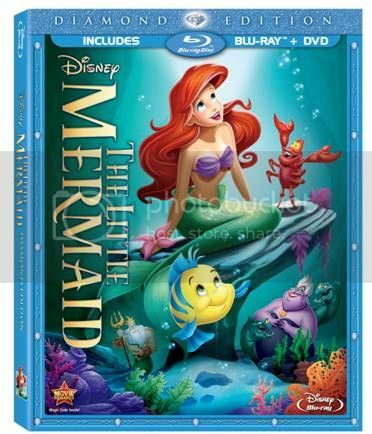 You can now purchase THE LITTLE MERMAID: DIAMOND EDITION on Blu-ray Combo Pack in stores near you.